Arsenal may have been handed some luck in their Pierre-Emerick Aubameyang transfer pursuit as two key Borussia Dortmund chiefs reportedly want him gone. The Gabon international has been linked with the Gunners for much of the January transfer window, but the Independent have recently claimed a deal is not yet close to completion. The Aubameyang transfer would surely be ideal for Arsenal as they look to replace Alexis Sanchez, who just left for a move to rivals Manchester United, leaving a major void to fill up top. 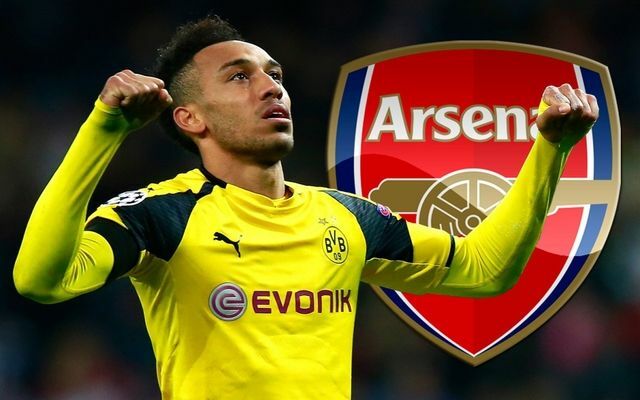 Luckily for Arsenal, there still seems to be some hope over the Aubameyang transfer as Sky Germany claim Dortmund managing director Hans-Joachim Watzke and sporting director Michael Zorc believe it would be best for him to leave the club. The whole Aubameyang transfer saga will undoubtedly have been an unwanted distraction for the Bundesliga giants this winter, as hinted at by Andre Schurrle in a recent interview. Arsenal fans will hope their club can make Dortmund’s desire to let Aubameyang go count in the final days of the January transfer window. There seem to be few alternatives on the market at the moment, and Arsene Wenger surely can’t go into the second half of the season without replacing a player as influential as Sanchez. The Chilean was the Gunners’ top scorer last season and summer signing Alexandre Lacazette is yet to get going at the Emirates Stadium.